It seems likely that Vibrato Valtat will be ridden with restraint and could well be the last challenger to Un de Sceaux, sure to be finishing strongly when others have paid for trying to match the Mullins machine. The Tuesday of Cheltenham is my personal highlight of both the Festival and the National Hunt season, with the Supreme, the Arkle and the Champion Hurdle the perfect way to kick off the week's festivities. Interestingly, of those races the only one that Willie Mullins has not won is the Arkle, though he came mightily close last year with Champagne Fever collared on the line by Western Warhorse. That record looks like being set straight this year with the Arkle betting revolving around one horse, and rightly so with that horse standing head and shoulders above the rest on Timeform weight-adjusted ratings. It is of course Un de Sceaux, a top-class hurdler who has taken to fences in savage fashion, falling on his chasing debut but making up for that in no uncertain fashion since, winning by a wide margin at Fairyhouse before recording a bloodless success in the Irish Arkle at Leopardstown. What was remarkable about Un de Sceaux's Arkle victory was the strength of the gallop set by Ruby Walsh and the way in which he maintained it, brushing aside a pair of smart novices in Clarcam and Gilgamboa with consummate ease, the time significantly faster than that recorded in a handicap run over the same C&D later in the afternoon. That performance alone is good enough for Un de Sceaux to have won all bar one of the last 10 renewals of the Arkle (no prizes for guessing the one!) but the frightening things for his rivals is that the seven-year-old hasn't finished yet, a bigger performance still in the locker. Timeform ratings tell you that Un de Sceaux is by far the most likely winner, but that in itself isn't saying much when the horse is already odds-on, and this is the time to dig a little deeper into the race. It is unlikely to be a big field, with most in the potential line up having alternative targets, but the one that potentially has the latent ability to defeat Un de Sceaux is Josses Hill, but therein lies his vulnerability. The seven-year-old went a long way in a short space of time over hurdles, chasing home Vautour in the Supreme before the Grade 2 novice at Aintree. He was no match for Ptit Zig on chasing debut, the run almost certainly needed whilst his jumping required work, but he got the job done at the second time of asking at Doncaster, again not impressing in the jumping department but carried home by his superior ability. Josses Hill is an obvious chaser on looks and remains with plenty of potential in this sphere, but it's possible that, in trying to match Un de Sceaux stride for stride and jump for jump, he will come unstuck, somewhat akin to the mistake made at the tenth by Al Ferof in 2012 just as Sprinter Sacre applied some pressure. A better bet, and one that could look better still after this weekend, is Vibrato Valtat, who has been something of a revelation over fences this season. 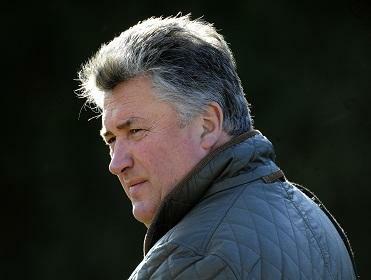 The Paul Nicholls-trained six-year-old failed to convince over hurdles, often finding little for pressure, but those days looked to be in the past, finding plenty when winning the Grade 1 Henry VIII at Sandown in December and, upon being challenged by Three Kingdoms at the last, again digging deep in the Wayward Lad at Kempton over Christmas. Vibrato Valtat is a notably strong traveller that has impressed with his fencing this term, putting in a particularly fluent round when beaten in the Arkle trial back in November, undone by the tactical nature of that contest. It seems likely that he will be ridden with restraint and could well be the last challenger to Un de Sceaux, sure to be finishing strongly when others have paid for trying to match the Mullins machine. Mullins is highly likely to break his duck in this race, Un de Sceaux by far the most likely winner, with Josses Hill arguably the biggest threat in terms of ability. However, given the way in which he'll probably be ridden, and his jumping proficiency, the bet is Vibrato Valtat and the advice is to take the 14/1 on offer before he runs in the Kingmaker at Warwick on Saturday, a race he ought to win readily.